Microsoft has just released SkyDrive for the Windows. This desktop client will allow you to manage your SkyDrive, right from your Windows desktop. The benefit of SkyDrive integration with Windows is that you will now be able to drag-and-drop to and from SkyDrive with files up to 2GB and access all of your files offline, and have the full power of Windows Explorer available to manage your SkyDrive files and folders. 1) 7GB free for all new SkyDrive users – but upgradable to 25GB FREE. 3) Paid storage plans as follows: US$10/year for +20GB, US$25/year for +50GB and US$50/year for +100GB. In this article, I will walk you through its installation process. To begin with, download SkyDrive for Windows from the link given at the end of this post and click on the downloaded file to install it. This excerpt is shared with permission from The Windows Club. 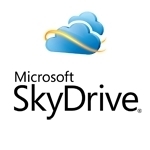 The Windows Club microsoft skydirve, online backup, online storage, SkyDrive. permalink. It appears that the free upgrade to 25GB is not available for some reason.